Here is our January Fresh Baked Kit for 2012! Did you guess that we're partnering with Sweet Stamp Shop this month?! 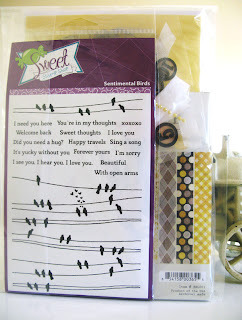 Nicole Rixon, owner of Sweet Stamp Shop, designed these simply wonderful images for the set called Sentimental Birds. 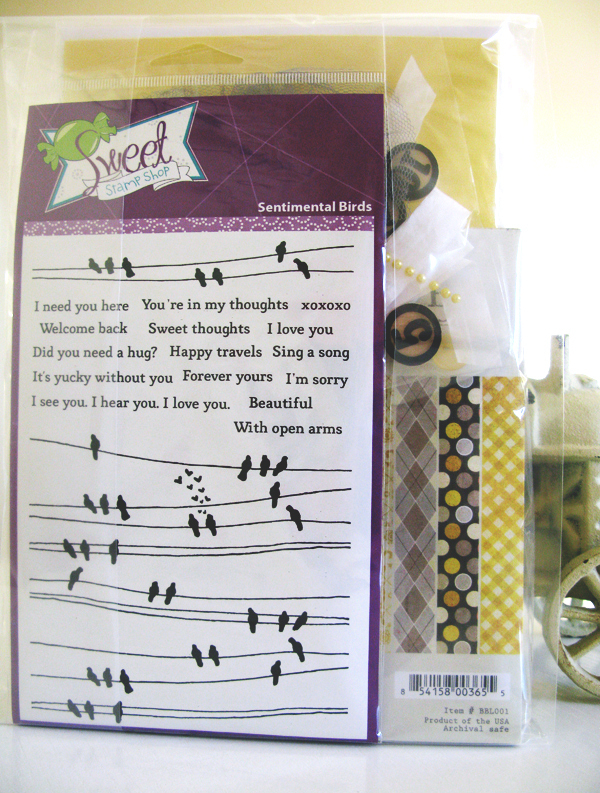 There are so many great sentiments included -- think how many different cards you'll be able to create with this ONE set! And the bird images...check out the details. Use parts of the image, or the whole thing for a whimsical background. We're also featuring Authentique Paper's Blissful 6 x 6 paper bundle. The yellows and grays are simply stunning! There's such a great mixture of designs and patterns with this bundle, you're sure to have everything you need for both feminine and masculine cards. 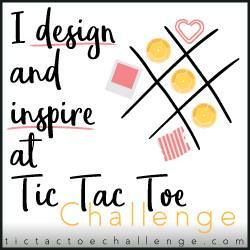 Valentine's Day will be here before you know it...imagine the variety of designs you'll have at your fingertips. Don't worry about coming up with all of them yourself...wait until you see what the design team has dreamed up for you! OHHHHH! This is an AMAZING new kit--LOVE LOVE LOVE that paper and those stamps are FABULOUS!! Love Authentique paper and what a fun stamp set.